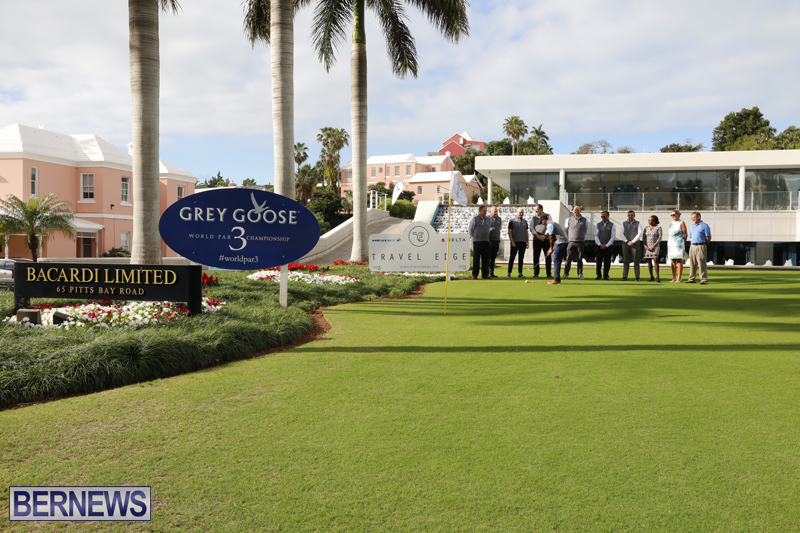 The Grey Goose World Par 3 Championship held their golf tournament preview this afternoon [Feb 22] on the lawn of Bacardi International in Hamilton, with Bacardi CEO Mahesh Madhavan, Travel Edge Country Director Mike Dawson and Pat Phillip-Fairn of the Bermuda Tourism Authority participated in this event. 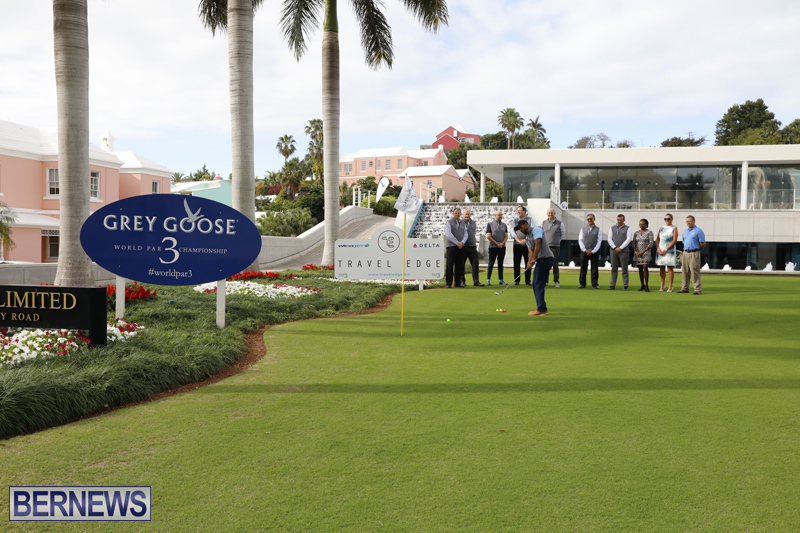 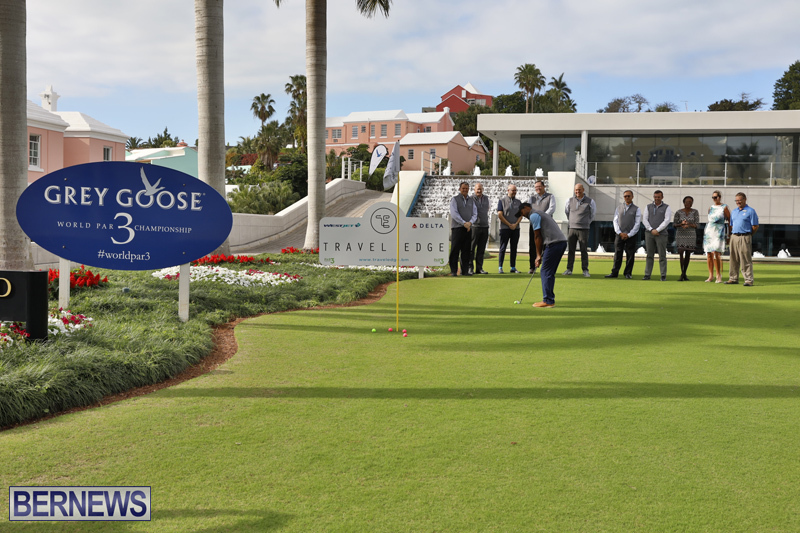 Bermudian Grey Goose entrant Camiko Smith was also on hand, and as a temporary golf hole was set up on the Bacardi lawn along Pitts Bay Road, he took the opportunity to take a few practice shots. 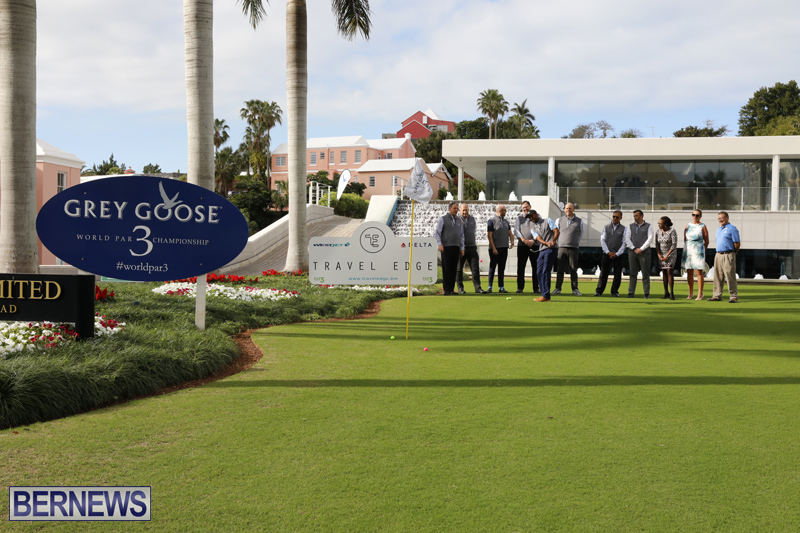 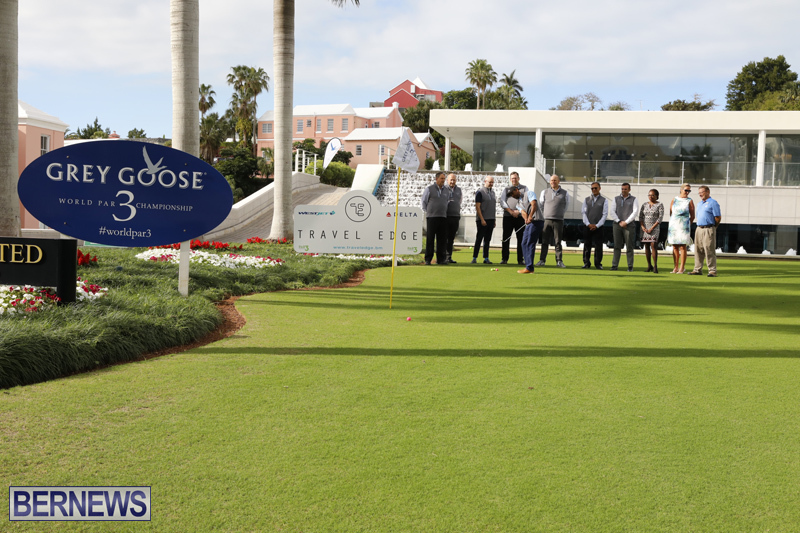 The Grey Goose World Par 3 Championship takes place March 1st to 4th at the Turtle Hill Golf Club on the Fairmont Southampton Resort, welcoming visitors from overseas as well as local players.